Less than a week before Chester Bennington’s death a few weeks ago, Bennington and the rest of his band went onto the set of James Corden’s goofy Carpool Karaoke show to film an episode. This just further highlights how surprising Bennington’s apparent suicide was, given that he seemed in good spirits so soon before his untimely death. We will approach it in whichever manner his family or the people that were involved in that episode, however they would like it to be handled. We will navigate it as delicately as possible and just adhere to whatever wishes they would want because I don’t think there’s any other way we could deal with it, really. It’s completely up to them and that’s a conversation we haven’t even thought about having right now… It’s a tragedy. Corden’s comments prompted a simple response from Bennington’s widow, Talinda. 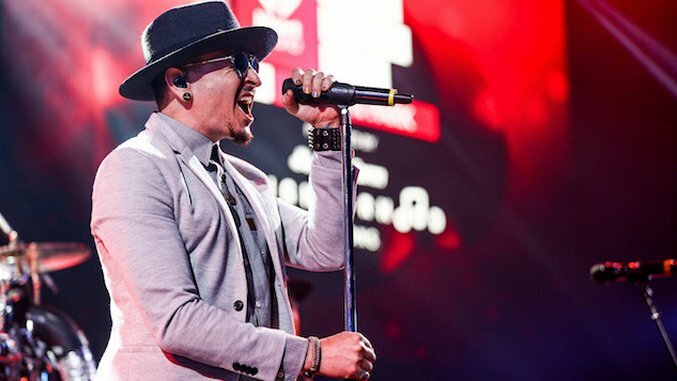 While we totally understand and respect the wishes of all involved, whatever those turn out to be, the episode could very well be a warm reminder of the man Bennington was, apart from just his music and personal struggles. He was also just a guy who could sometimes be found singing in the backseat of a sedan with his closest friends. Below is a tweet from Linkin Park, posted the day they filmed the episode.